The H-Class' modular design uses pre-engineered components, which allows the machine to be easily configured based on an operation's requirements. The H-Class' modular design uses pre-engineered components, which allows the machine to be easily configured based on an operation's requirements. 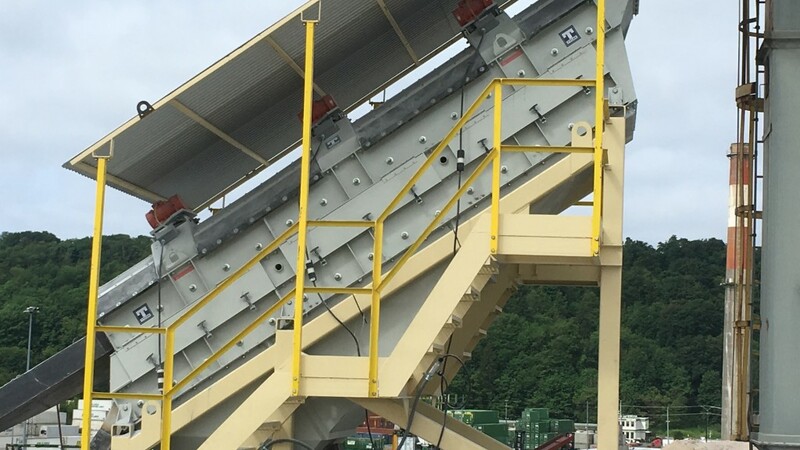 The machine is effective for screening hot materials, such as phosphate, potash and asphalt. The V-85 conversion kit can be installed in one day. The package includes the heavy-duty welded bridge, A/C drives, controls and optional rubber dust covers for hot or cold applications. "As an industry leader, we offer our customers an array of services and upgrades to improve their equipment and add value to their processes, which is why we offer conversion kits," said Karen Thompson, Haver & Boecker Canada president. "A conversion helps reduce maintenance for our customers and improve their ROI." H-Class V-85 machines are safe for use in unreinforced structures since movement is confined to the media, which moves with a fast, small stroke to screen materials through openings ranging from 3/16-inch to 80 mesh. The upgraded machine offers two variable speeds: The Running cycle operates at 42 to 48 Hertz to screen particles and can be modified to an operation's specific needs, while the short Burst cycle increases the vibratory motion to 60 Hertz to clean the screen, preventing blinding and increasing productivity.